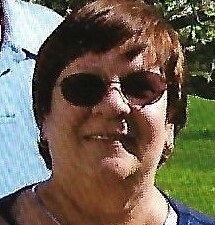 Aletha M. "Lee" Hall, age 65, of Castalia and formerly of Breckenridge, MI., died unexpectedly, Sunday afternoon, January 13, 2019, in her residence. She was born April 7, 1953 in Flint, MI., and graduated from Breckenridge High School, MI., in 1971. Lee loved to go camping and fishing; and was very passionate about reading, which she did every day. She is survived by her husband Donald Hall; daughter Rachelle (Carl) Yung, Plymouth IN. ; son Tim Hall, Toledo; two grandchildren Phillip Hall, Castalia, and Emily Hall IN. ; two brothers John (Pat) Cummings, MA, and Leonard Cummings, MI; and many nieces and nephews. Lee was preceded in death by her parents Homer and Leona (Schell) Cummings; infant son Phillip; one sister; and two brothers. Friends may call Wednesday, January 16, 2019, from 5-7 PM, at Ransom Funeral & Cremation Service, 610 S. Washington St., Castalia, OH 44824, and on Friday, January 18, 2019, from 5-7 PM, at Smith Family Funeral Homes, 117 N. East St., St. Louis MI, 48880, where services will be held on Saturday, January 19, 2019, at 11 AM. Burial will be in Oak Grove Cemetery, St. Louis, MI.